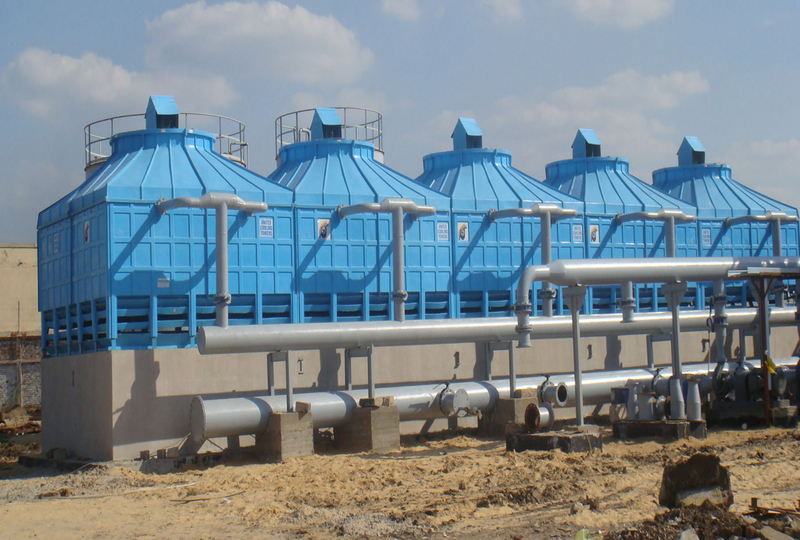 How to Enhance Water Efficiency Of Your Cooling Tower? When you truly understand the major components used in making cooling towers for chemical industry, you can easily make the unit more water efficient. In this post, you will learn the best tricks to do the same. Cooling towers are important units used in many refrigerating systems, offering comfort or process cooling throughout the range of applications. They are the point in the system where heat is released to the environment via evaporation. 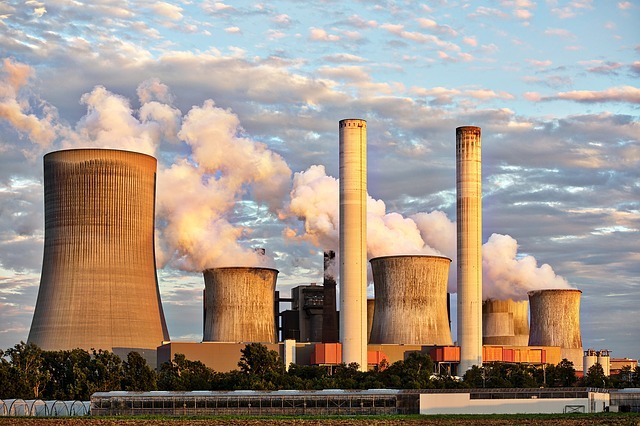 Cooling towers are widely installed and used by oil refineries, chemical processing, power plants, steel mills, and other manufacturing processing units where cooling is needed. The reason to intend a cooling tower is to provide comfort cooling for big industrial buildings including airports, conference centers, hotels, hospitals, etc. These structures vary greatly in design and sizes, but the basic function of all of them is same. Cooling towers are used to reject heat via evaporation process. In this process, warm re-circulating water is sent to the cooling tower where a certain amount of water is evaporated into the air passing across the tower. You can categorize cooling towers into two models – open circuit and closed circuit systems. In open circuit model, re-circulating water returns to the tower after collecting heat. This water is later distributed throughout the tower where the water directly contacts the environment. The closed circuit model is bit different. Which factors limit concentration cycles? Increasing concentration cycles saves water since water is re-circulated longer through the system prior being blown down. Higher amount of minerals dissolved in the water elevate with number of cycles, and along with this scaling and corrosion risk also increase. All dissolved minerals have a saturation limit that will lead to scale formation if exceeded. What are the major concerns of cooling tower? Corrosion – Corrosion is an electro chemical or chemical process that results in destruction of the system metallurgy. There are different types of corrosion encountered in the cooling tower systems, including galvanic, pitting, erosion, microbiologically influenced, etc. Fouling – Foulants like organic matter, silt, process oils are responsible for fouling cooling tower. Microbe growth – Micro-organisms grow inside the cooling tower and cooling system if not disinfected. If you want cooling towers for chemical industry, you should know about its proper maintenance and care. Which Material Makes Cooling Tower So Effective? It is always necessary to think about maintenance of cooling tower. While most industrial cooling towers failure happens due to dirty system, there are more reasons to maintain good health and hygiene of the cooling tower system. A dirty system affects the performance and occupant health. You should be aware of the Legionnare’s disease and how cooling tower is responsible for the growth of fatal legionnella bacteria. Clean and disinfect the cooling tower every three months or twice a year in case you have not used the unit year-round. It is necessary to clean the cooling tower at the starting of each cooling season and after it’s shut down in the fall term. The entire maintenance and cleaning procedure should be done while the system is completely shut down. 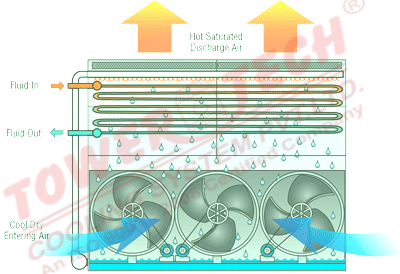 Cooling tower move air through the water system with the help of fan and allow water vapor to sit inside the system. The system becomes dirty with slime, algae, mud, and sludge, all which builds up and gathered at the basin floor. Legionella bacteria grow underneath the slime and scale layers. This dirty water can affect the chiller and revoke them to perform and increase energy costs. Whenever you find scale, slime, or sediment on the surface of cooling tower, you must clean the system. After cleaning, don’t forget to disinfect the system to prevent future bacterial growth. If you want professional assistance, contact the industrial cooling tower maintenance experts. Make sure you perform a research before contacting them. A reliable service point can give you best maintenance results at competitive prices. Choose wisely. How to Control Legionella Growth in Cooling Towers? Manufacturing units are making essential cooling towers that are used in the several industries in large scale applications. Installation of the cooling tower is a critical thing to be considered in the setting up of an industry. Industrial models such as round cooling towers offer a variety of engineering needs and function on the basis of dissipating the heat absorbed in the circulating system of the cooling tower. These systems are able to absorb heat from industrial processes and cool down the effect. Such towers are preferred over other models in the industries like petroleum refineries, chemical plants, petrochemical, natural gas processing plants, nuclear power plants, etc. Standard models are usually 200 meters tall and 100 meters wide, however, round bottle cooling towers’ measurements may differ as per the distinct processes. 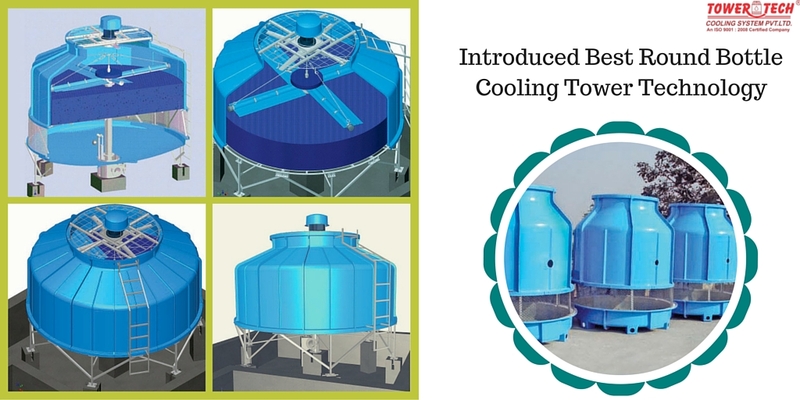 The exporters of round or bottle shaped cooling towers are among towers that possess a water basin which is made of water resistant materials to prevent leakages. While manufacturing these towers, engineers make enough space for it to contain major water levels at all times. They use FRP materials for the water basin to bring extra support so that basin can withstand heavier weight of the water. These towers are equipped with fan, fan motor, fills, water distributing system, and a steel structure. The low noise fans installed by engineers are located at the top of the towers and are built with durable, corrosion resistant materials. These fans have potential to save energy and generate maximum air flow within the towers. The sprinkler is the component used in water distributing system is of rotating type and is used to distribute water evenly. Round cooling towers are best inventions and a safest technology to be used as a reliable heat absorber for industrial applications. Many industries are already sourcing them from trusted suppliers who are efficient in catering their maximum requirements. You can also get one for yourself from a dependable vendor. Make sure the vendor also provides after sale services- maintenance and repairing facilities. Closed circuit cooling tower is a hybrid variety that passes the inside fluids via a tube bundle. Main job of a Closed circuit cooling tower is to make the water flow sustainable to pass through a water sprayer and a fan induced draft. This works on the dry bulb with the lower air temperature assistant thus makes it easy and environment friendly with the better efficiency. How Open Circuit Cooling Towers Are Different From Closed Circuit? Open cooling water system is at higher risk of water pollution and so, different types of bacteria proliferate faster to become a major threat to human health by dissipating the vapor holding bacteria. Legionnaire is one of the popular diseases caused from open water cooling system. It endangers human life by causing pneumonia. Closed circuit cooling tower has largest proportion of cooling water circulating within the enclosed loop, thus, there is minimum risk of water pollution involved. Water saving- closed circuit design acquires 100% closed circuit circulation for process fluid that save water. Space saving – The compact design of the cooling tower lets the user to fit it within limited space. Investment saving- Closed circuit design has a self-attached water basin and completely enclosed cooling coils that are used for preserving cooling water that saves any type of ground construction cost. Easy to install and maintain – You merely need a connection of pipe and electrical system to install closed circuit cooling tower. As Manufacturers of closed circuit water cooling tower is scaling free, you can save a lot of money as this tower doesn’t need regular maintenance. You can service the tower quarterly, but make sure you don’t neglect the servicing of the tower due to busy production schedule. Most manufacturing units and even some suppliers are offering maintenance services for cooling towers to their global clients. Just get in touch with such people and keep your cooling tower fit for future operation.